I have been in production for more than 13 years now and my passion is producing films. From a super loaded producer to a refined actor, Ganesh has made a huge transition. Expresso catches up with him. 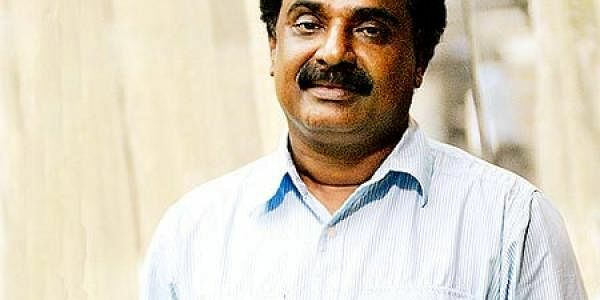 He was just like any other producer until the release of 'Vinnaithandi Varuvaya'. After its release, Ganesh is now ‘VTV Ganesh’ and people have started recognising him as a comedian, who attracted the audience’s attention through his unique voice and timely humour. With VTV came fame and Ganesh has now moved to the next level with his production house — VTV Productions, which is producing the Simbu-starrer 'Vaanam', a remake of the Telugu flick 'Vedam'. “I have been in production for more than 13 years now and my passion is producing films,” says Ganesh in his trademark voice. “Simbu and I were watching the first day, first show of 'Vedam' at Casino theatre. We were both impressed with the script and immediately decided to remake it. I’m so thankful to Simbu for giving the dates. Cinematographer Nirav Shah and music director Yuvan Shankar Raja have been roped in and it is a strong team,” adds Ganesh who is famous for his boyish charm and the pranks that he plays on the sets. Ganesh feels that a good combination of technicians is essential for the success of a film. The film also stars Bharath, Prakash Raj, Anushka, Sneha Ullal and a new face from Delhi, Jasmine. It’s no wonder that Ganesh has named his production house VTV — as 'Vinnaithandi Varuvaya' was his claim to fame. Ganesh says, “VTV also has two Vs which stands for victory.” The producer has branched out from Gautham Menon’s team but the two remain close friends. “We’re planning a Diwali release for 'Vaanam'. The audio of 'Vaanam' is coming out well. We’re planning to finish Simbu’s portion before he heads to London for 'Poda Podi'. Nowadays, the script plays a pivotal role in the success of a film. I’m looking for a big banner to release the film,” says Ganesh. Is he acting in Vaanam? “Yes I play a cameo role. After VTV, I got a number of offers but I was quite hesitant. My role in VTV was just an accident. Simbu and I were talking casually, Gautham noticed it and asked me to do the role and that’s how it happened. Each one has a different voice and my voice clicked,” quips Ganesh. Coming back to 'Vaanam', Ganesh says, “I’ve so much confidence on 'Vedam’s director Krish, who is also directing its Tamil version,” says Ganesh, who is looking forward to the release of 'Vaanam'.